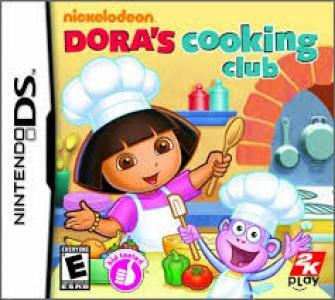 Publishers(s): Take-Two Interactive Software, Inc.
Dora's Cooking Club was published by 2K Play on October 26, 2010 in North America. In the game, players have to chop veggies, stir soups, top pizzas, and stuff using math skills. They may be sorting cookies into numbered groups or counting out different amounts of ingredients.